Spend Your Vacation Suspended 130 Ft. Over The Ocean In This Extreme Rental Property | Deveoh! 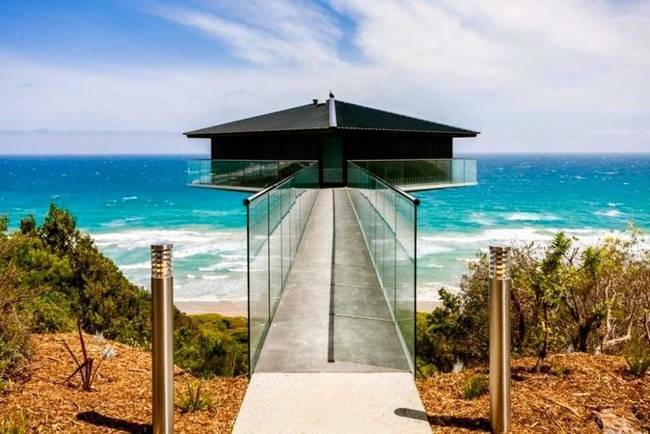 The Pole House is suspended 130 feet above Fairhaven Beach along the Great Ocean Road. It comes complete with floor-to-ceiling retractable glass walls, revealing views unlike any other from Aireys Inlet to Lorne.